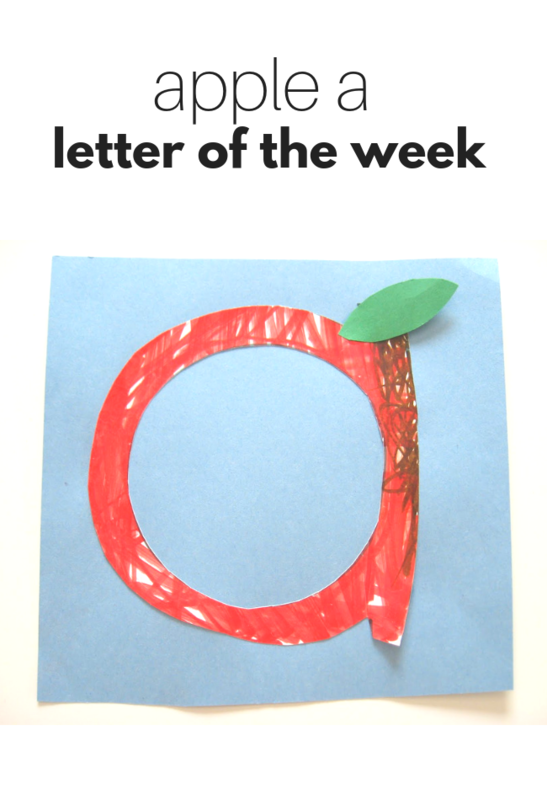 Welcome to the new letter of the week- it’s all lower case from now on! Don’t worry though I will link the uppercase letter at the bottom of each post. I know we just did an apple but I have to practice what I preach and let my child’s interests lead – and the little dude wanted to make an apple a, which I was happy to since it’s a cinch to turn a lowercase a into an apple. 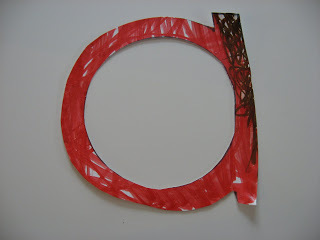 I am not starting with a to go in alphabetical order, and in many teaching circles, you keep the vowels for last. 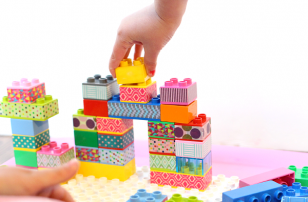 I am doing them as he shows interests but encourage you to do them, however, works best for your child. Gather your materials. 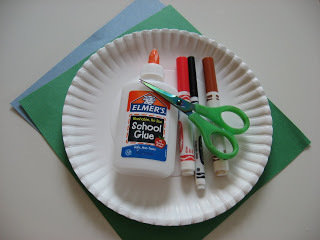 You will need a paper plate, some scrap green paper, a red and brown marker, glue and scissors. If you want to make it easier to display you can also use another piece of paper for a backing. Also, I am only using the paper plate because my husband bought a pack large enough to use for 10 years, plain paper would work just fine. 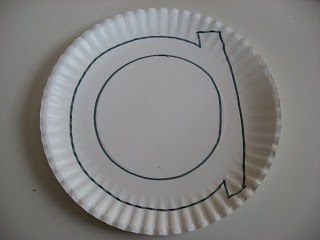 Start by writing a large lowercase a on the plate. 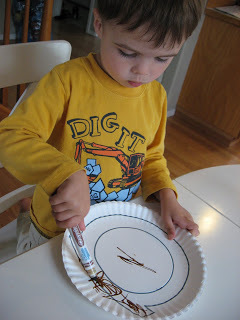 Have your child color the straight side brown to make a stem. 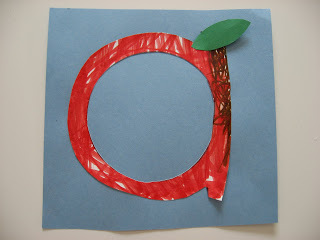 As we were coloring we talked about how the a is shaped and also the parts of an apple. Color the rest red! 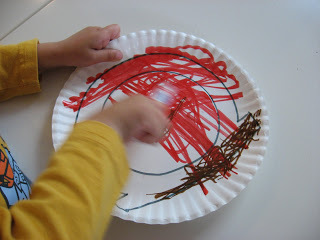 A cool perk of the paper plate was that it kept the marker contained even with very very enthusiastic coloring. 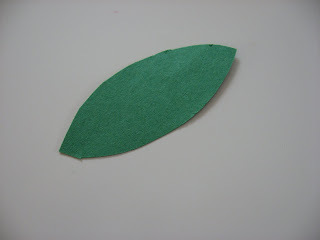 While they color, cut out a leaf from the green paper. 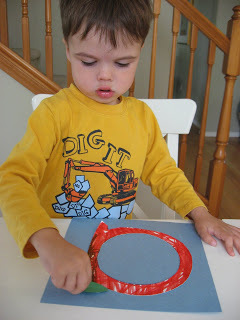 If your child is able to do this step have them do it after coloring. Add the leaf. 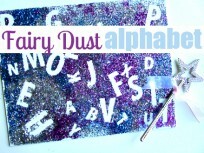 Let your letter of the week craft dry. “One Green Apple” by Eve Bunting is a treat. 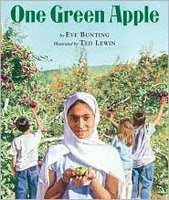 The book is not about apples really at all, instead, it’s about Farrah a little Muslim girl who has come to the United States from an unnamed country and her first day at school. The day is spent on a field trip to an orchard, where the children pick apples and make apple cider. I immediately related to this as my first day of work at a school in my new country was trying, although I could speak the language unlike Farrah it was still daunting to be new in unfamiliar territory. The melting pot analogy is turned into an apple cider one as all the children throw their apples in and work together to press it into cider, even Farrah helps. They all drink the collectively made cider. 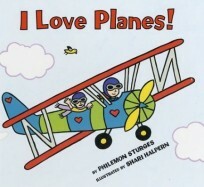 My son was too young for this book but I think it would be realistic for a PreK – 2nd grade. 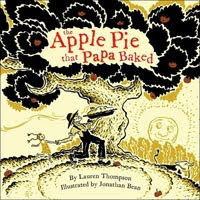 “The Apple Pie the Papa Baked” by Lauren Thompson had me tricked into thinking that it was a new edition of an old book. The retro look to the illustrations hooked me and I was shocked to see it was only published 2 years ago. The reader is taken through all the elements that go into making a pie, not the recipe though. The story works backward from pie to the apples, the tree, the roots and more. The message is one of interconnectedness and makes me feel equally important and small all at the same time. I think it’s useful to teach how everything in nature is dependent on other elements and can’t work alone. My son enjoyed the illustrations of the sun with a face and the little girl helping her father at every step. 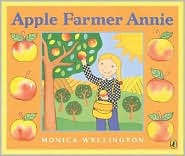 “Apple Farmer Annie” by Monica Wellington is another instant favorite in our house. My son loves this author and I like how simple but informative this book is. 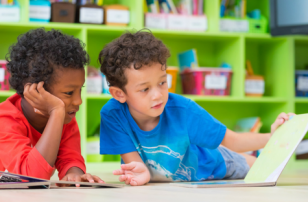 Your little reader will learn about the basics of what happens at an apple orchard, but you can take it further if you want. 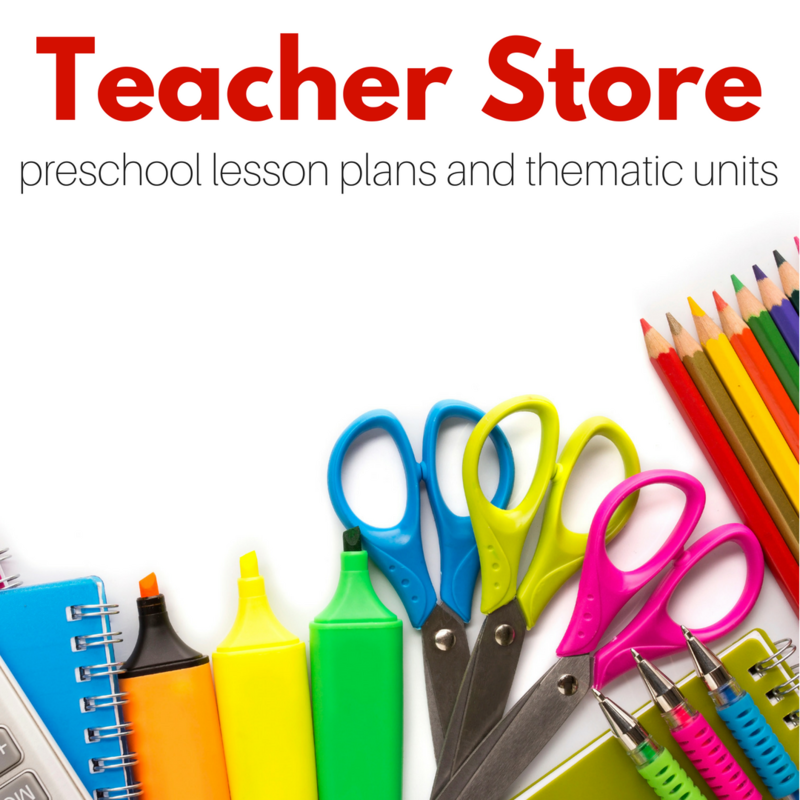 On many of the pages, there are chances to learn more, like the page about sorting and classifying, where there are apples ready to count 1-10, and sorted by colors. I love the last page that says that Annie is so happy to have her own apple farm. I loved that message and think it’s a lot more powerful than some may think, women on farms in most books are “farmer’s wives” and I love that there is no one but Annie doing her own thing. thank you so much i have been a follower for a long time but was not needing capital letters anymore for my 4yo. She wants to learn the lower case letters but was not really trying/spending any time ith meon it- hopefully these new crafts will spark her interest in them again. "I don't have time to fart around with flash cards." OK, so it's not word for word, but I'm with ya. Lots of apple fun. I also love the interactive "Little Red House with the Star inside Story" where you tell the story and in the end cut an apple to see the star. One of my favorite adult reads about apples is: The Orchard by Adele Crockett Robertson. Excellent memoir. Great book recs, thanks Janelle. Hi, love your site! I have two young children and teach kindergarten at a private school. I thought I would share my favorite apple book, “How to Bake an Apple Pie and See the World” by Marjorie Priceman. I love how this books introduces geography to children along with a great story. In class we always make Apple Dumplings to extend the story. Yes ! I reviewed it here : https://www.notimeforflashcards.com/2008/04/thrift-store-finds.html I love it as well. LOVE it! 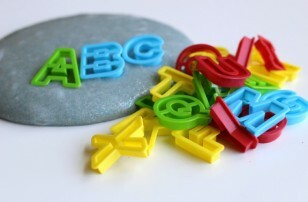 A lot of pre-k parents and teachers only teach capital letters and a lot of my kinders struggle with lowercase. Thank you for sharing your lowercase letter ideas!! I love this! Thank you! I am going to have the children choose which type of apple they like best..red, yellow, or green. Then we will sort them and construct a delicious graph! We will identify which has most, least etc..thank you again! I have just found your blog/website here and I am very pleased. 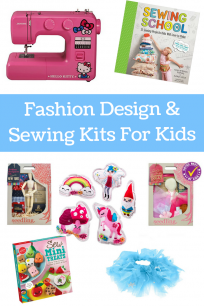 There are a lot of clear cut easy to find simple crafts and learning tools throughout for every age. I was not expecting my daughters age to be include but you’ve done a magical job at creating this many resources in one spot! I cannot thank you enough!